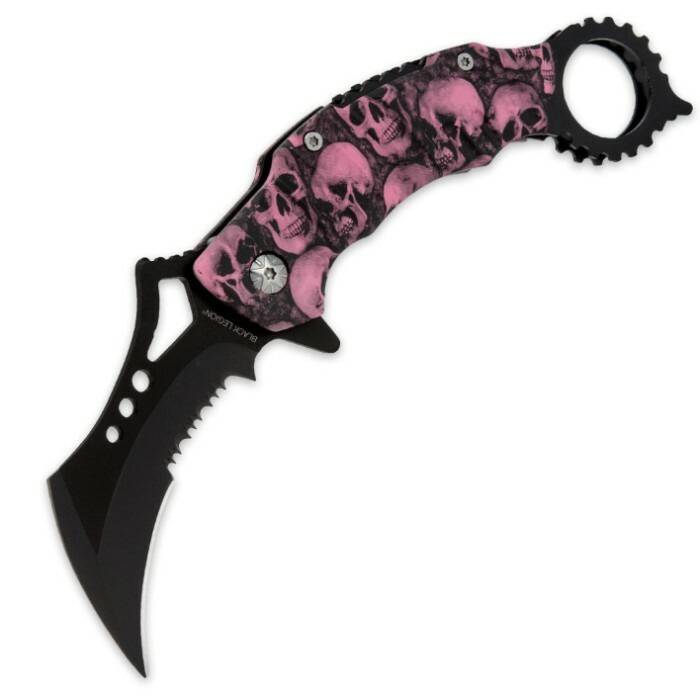 This femme fatale karambit-style knife is one wicked thing to behold! 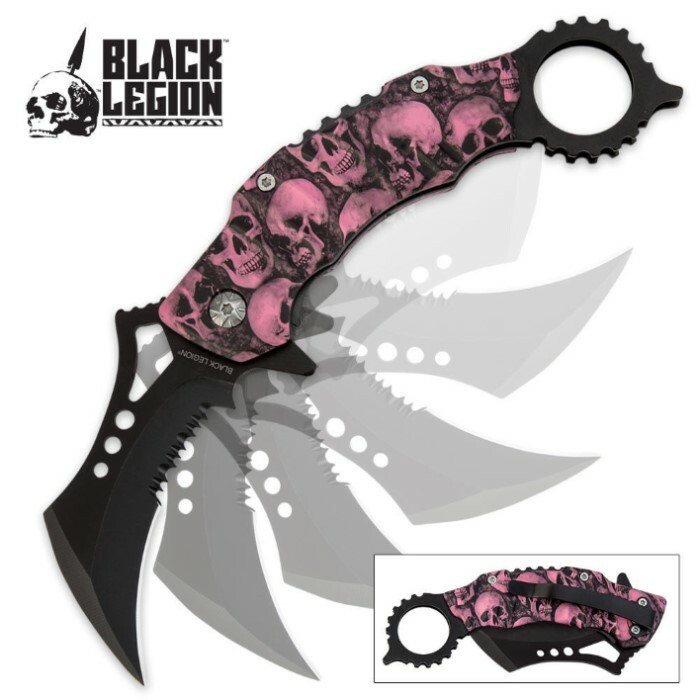 First off, the anodized aluminum handle has a raging toxic skull mayhem pattern that will surely command people’s attention! 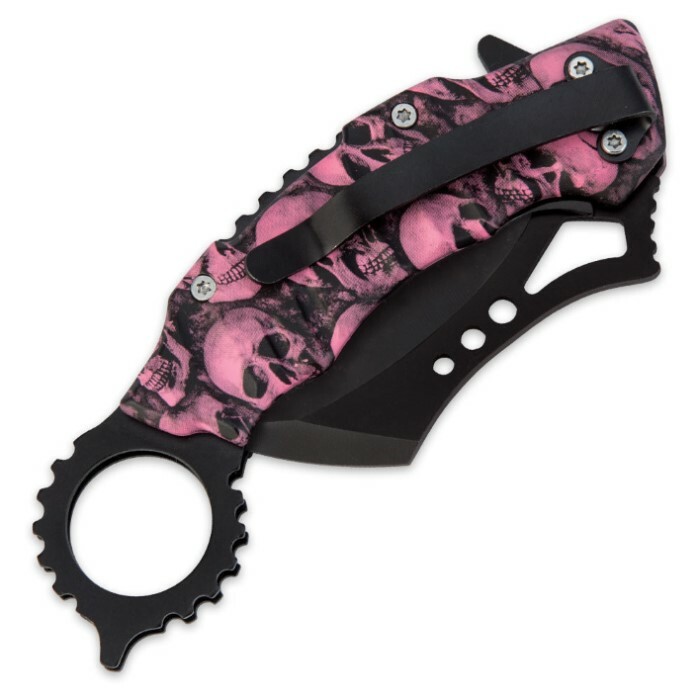 The unique design of this knife brings you the best elements of a ninja karambit with the easily concealable properties of a folding pocket knife. Best of all, the claw-shaped serrated stainless steel blade is razor sharp with a piercing point. To initiate the fast assisted-opening mechanism, engage the blade spur or use the thumb hole on the back of the blade. The open finger hole on the handle allows you to maneuver this knife like a fixed-blade karambit.